Darngavil Brickworks Ltd, Craigrigg Works, West Lothian. 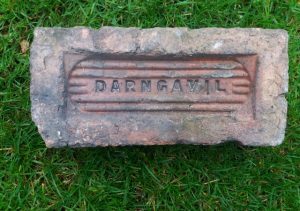 Darngavil Brickworks Ltd, Darngavil Works, Airdrie, Lanarkshire. Found on the shore at Alloa. Darngavil Brickworks Ltd, Craigrigg Works, West Lothian. 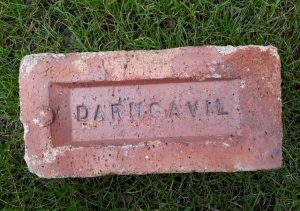 Alternative brickworks include: Darngavil Brickworks Ltd, Darngavil Works, Airdrie, Lanarkshire. . . .
Found by Ian Suddaby near Gairlochy, Spean Bridge. Note the sloping shoulders to the frog. Darngavil Brickworks Ltd, Craigrigg Works, West Lothian. Alternative brickworks include: Darngavil Brickworks Ltd, Darngavil Works, Airdrie, Lanarkshire. .
Found in the Glasgow area. Darngavil Brickworks Ltd, Craigrigg Works, West Lothian. 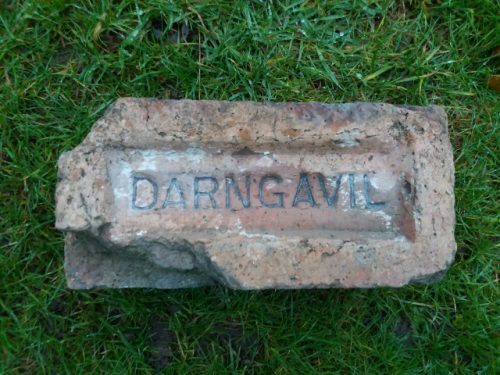 Alternative brickworks include: Darngavil Brickworks Ltd, Darngavil Works, Airdrie, Lanarkshire. . .
Found at the Gartliston Works, Glenboig. Note the round ended from within the outer square ended frog. Darngavil Brickworks Ltd, Craigrigg Works, West Lothian. 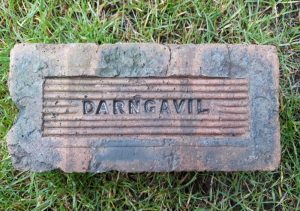 Alternative brickworks include: Darngavil Brickworks Ltd, Darngavil Works, Airdrie, Lanarkshire. .
Found by Eddie Mclean in the Glasgow area. 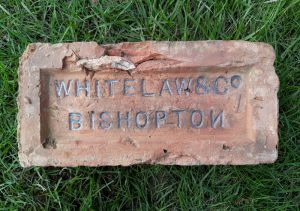 Alexander Whitelaw & Co, Dargavel brick works, Bishopton. 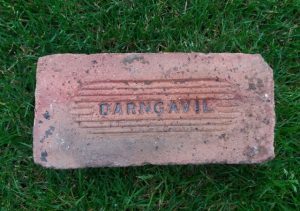 . . . .
Found at Whitecross, Linlithgow Darngavil Brickworks Ltd, Craigrigg Works, West Lothian. 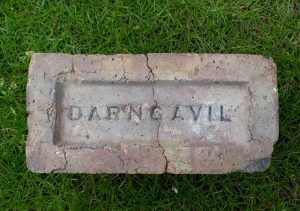 Alternative brickworks include: Darngavil Brickworks Ltd, Darngavil Works, Airdrie, Lanarkshire. 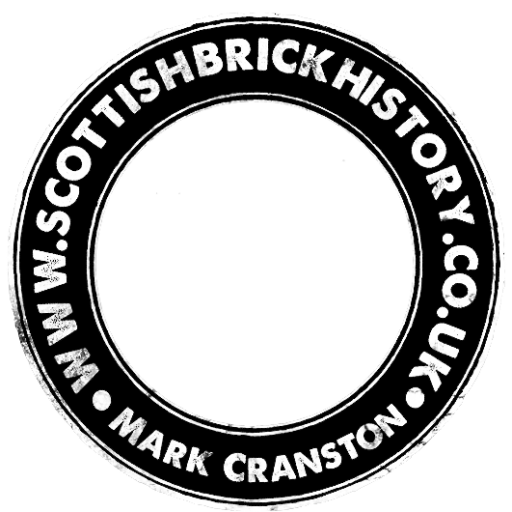 . . Below – The same stamp on a brick found at Alloa but note the additional horizontal ribs above and below the main frog design. Found by Ian Suddaby at Newhailes House, Musselburgh. This example is not in my possession. Craigrigg Works, Westfield, West Lothian. . . .